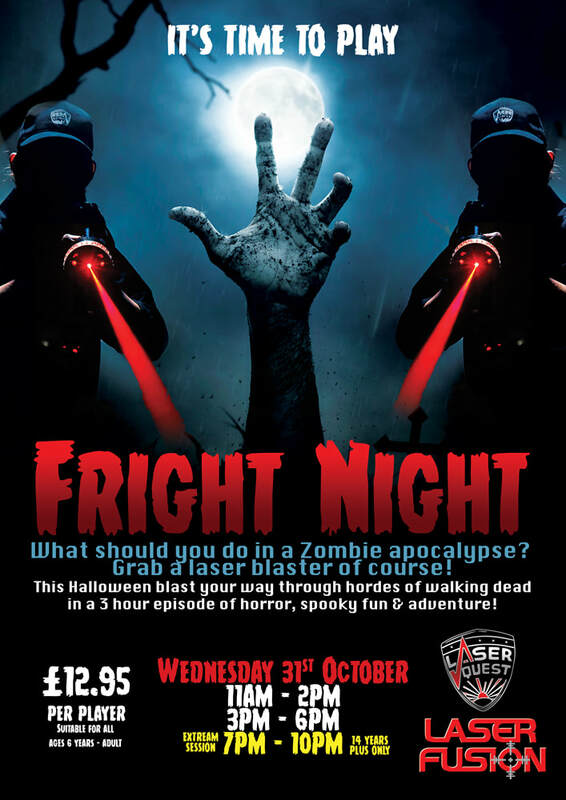 Fright Night - Laser Quest, Swindon - The Ultimate Space Adventure! Fright night sessions last 3 hours, during this time you'll play a whole host of new nightmarish games featuring live actors and special effects. Will you survive and go onto save the day? Show us what you're made of and book your space, if you dare? !